There’s increasing buzz surrounding Silicon Beach–So Cal’s answer to Silicon Valley. If you’re curious and want an up close view of the startups of Silicon Beach, this weekend’s your chance. 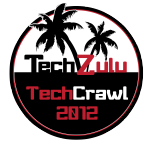 This past July TechZulu put on the TZ Tech Silicon Beach Crawl in Santa Monica. It was so popular, they’re doing it again. This time the focus will be the Venice area. What can you expect? If you’ve been on a bar crawl, you have the general idea. Except instead of bars, you’ll be going on a tour of startup, Accelerator and Incubator offices in the Venice section of Silicon Beach. Each venue will host a group of developers, designers, entrepreneurs and other startups in their office for about 45 minutes. There will be food, beer, games and prizes. And most important of all, you’ll have opportunities to network. You never know whose hiring. The event takes place August 30th from 6pm to 11pm. There will also be an after party. Visit TechZulu’s site for more details.